Peter joined the Castle Mall Shopping Centre team at LSI (then Lambert Scott & Innes) in 1988, spending the next 5 years on this award-winning £80M project. As job runner on a therapeutic care home for children in 1997, Peter had the opportunity to develop some early sustainability ideas, and help demonstrate the perspective that architecture is less about bricks and mortar, and more about the spaces created inside and out, and how they are used. 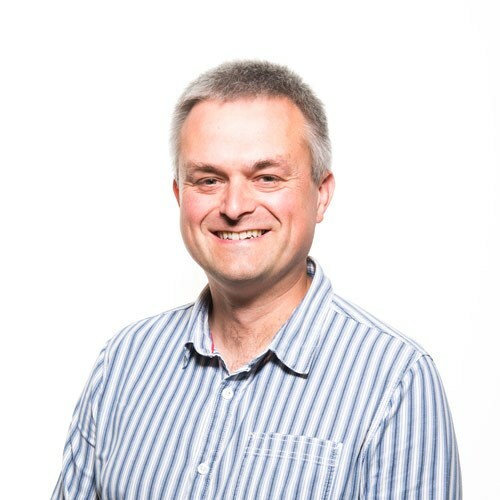 Peter’s current expertise is in the delivery of data centres and acute healthcare projects, largely through Aviva and a number of London and Eastern Region University Teaching Hospitals. His interest in the positive effect buildings can have on their occupants through careful design – whether staff, patients or visitors – remains at the forefront of his approach. With an underlying emphasis on efficient design solutions and construction buildability, Peter has earned a reputation for delivering technically complex projects to demanding timescales. Peter also instigated and leads on the Technical Reviews of all LSI projects, also chairing the practice’s H&S Committee. Winner of the 2017 RICS East Awards 'Community Benefit' Award and 'Project of the Year', and a 2017 Building Better Healthcare Award for 'Best Use of BIM', the £10.5 million state-of-the-art Arthur Rank Hospice is a new 24-bed facility for the Cambridge based end of life care charity. The first of the Major Trauma Centre’s to go live in the UK, this project comprised the refurbishment of the existing Emergency Department including expansion into an existing outpatient clinic to create the new Major Trauma Centre for the Eastern Region. LSI has provided architectural services on numerous data centre projects including new-builds and conversion or modifications of existing buildings. The Arthur Rank Hospice has opened to patients after work has completed on the £10.5 million state-of-the-art Arthur Rank Hospice, a new 24-bed facility for the Cambridge based end of life care charity. LSI Architects receives a ‘Big Tick’ and a prestigious Community Mark as recognition for £217,000 investment in community projects. LSI picked up the award at the awards evening at the Norfolk Showground which was attended by people from all areas of the Norfolk Business Community.